Chris Vignone has over twenty years of experience helping clients with an array of tax and business recovery services that put over $250M into his clients’ bank accounts. His clients range from startups where he assists with alternative methods of fundraising such as selling NOLs and transferrable tax credits to the Fortune 500 where his team aided by proprietary technology identify overpayments in accounts payable and tax for even the most sophisticated finance departments. Chris has helped hundreds of middle-market clients recover money, plug the holes that created these overpayments and drive profits higher. Chris is a Big-6 Accounting Alumni; he began his career at Coopers & Lybrand. Then Chris had his first taste of the technology start-up world at Omnipoint Communications – a publicly traded wireless start-up. Chris wore many hats during his tenure there ranging from taxes, to accounts payable, to SEC reporting. Chris took that experience and went back into public accounting/consulting during his time at a regional state & local tax consulting firm. 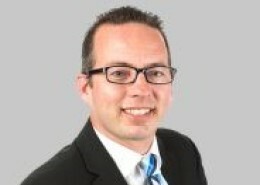 During his 10 years at Grant, McCarthy Group, Chris refined his processes in tax recovery. Chris is currently the CEO of PM Business Advisors, where he has continued to assist a wide arrange of companies with many diverse financial recovery projects.